The famous H.P. 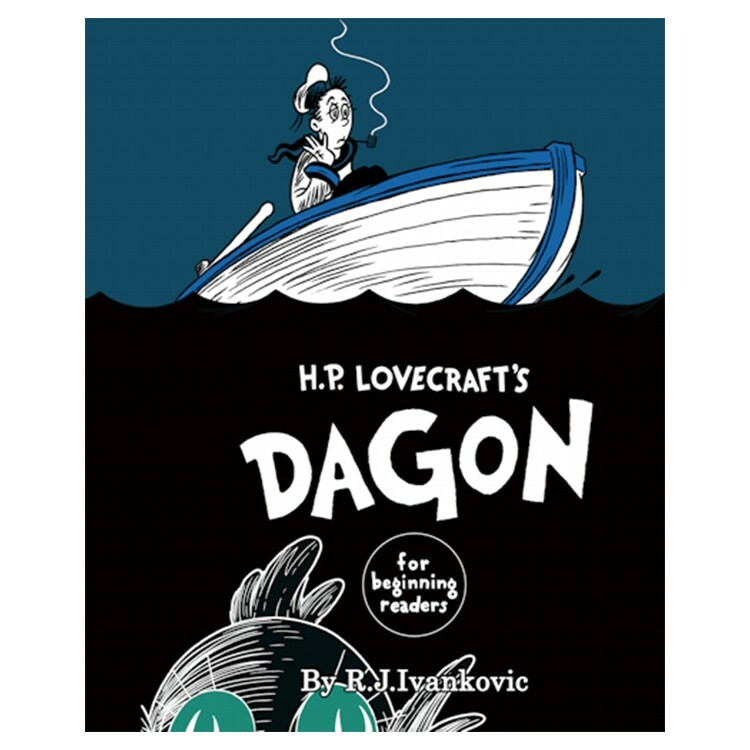 Lovecraft story "Dagon" is gracefully retold in anapestic tetrameter and illustrated in a darkly whimsical style by "genius poet-artist" R.J. Ivankovic. A sailor escapes in a lifeboat after his ship is attacked by a German raider during World War I. He soon finds himself in more bizarre peril, stranded in a dark, stinking mire on the edge of a mammoth pit. Venturing into the pit, he discovers a monolith covered in weird hieroglyphics and something stranger still that crawls from the slime—a creature that may be the vanguard of a vast and monstrous invading army from the depths of the sea. This glorious full-color adaptation is R.J. Ivankovic’s follow-up to the popular H.P. Lovecraft's The Call of Cthulhu for Beginning Readers.